‘Oh.my.God! What are these super-cute things? 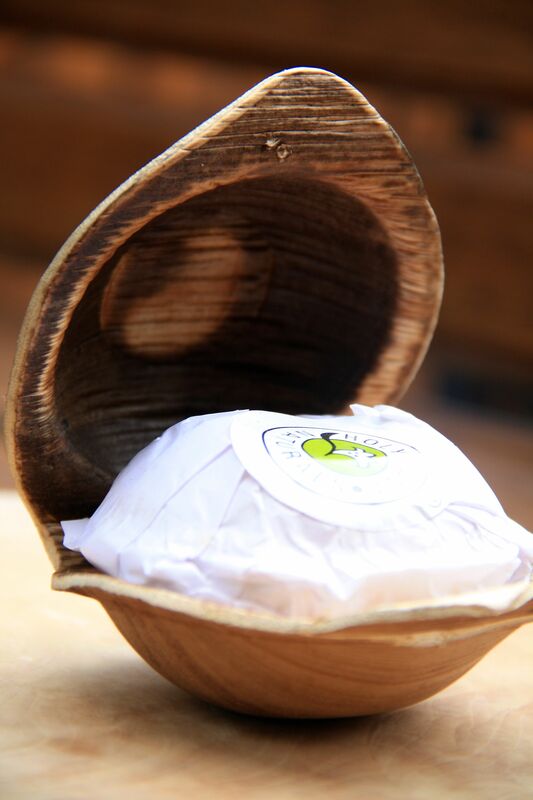 !’,was my immediate response when I spotted baskets of these cute-as-button packages at Desi Origins, a sweet little store & the latest resource for Gurgaon’s green loving , eco-friendly residents. Turns out these were Natural, Handmade Ayurvedic Soaps manufactured by ‘Holy Lama Naturals’, an all-women enterprise in Kerala.Talk of creativity and woman power! I picked up a bunch of these for myself and as gifts to family and friends(They sure make for a great looking, feel-good gift!). 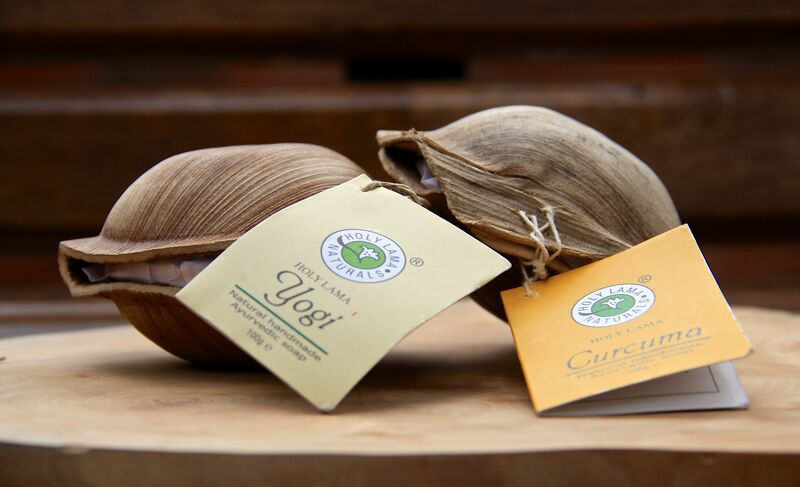 The product is free from animal fat, uses natural fragrance and ingredients.Available in 4 variants, each offers unique healing and nourishing ingredients suitable for different skin requirements. For my very sensitive skin, I picked up the ‘Yogi’ for its mildness and gentle natural ingredients. Holy Lama Curcuma Soap It is a natural Turmeric Soap, the base essentially made from Cold Pressed Coconut Oil saponified and Turmeric Oil. It is a good antiseptic and antibacterial soap. It is handmade with no synthetic fragrance or color added to it. Holy Lama Rainforest Soap It is a natural Vetiver Soap, the base essentially made from Cold Pressed Coconut Oil saponified and Vetiver Oil. 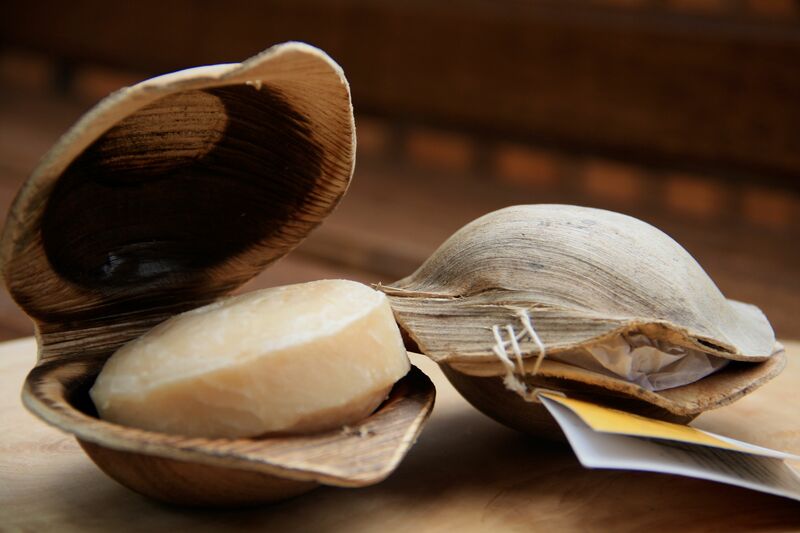 Holy Lama Rainforest Soap gives you natural cooling and has the goodness of ‘Khus’. It is handmade with no synthetic fragrance or color added to it. Holy Lama Yogi Soap A Soap with unique properties of ayurveda’s most esteemed botanicals – Neem and Tulsi. Incredibly mild, hence can be used on the face too. This soap has Cold Pressed Coconut Oil saponified and pure essential oils. It is handmade with no synthetic fragrance or color added to it. Holy Lama Kewra Soap Here is an exclusive natural soap with an invigorating and rejuvenating oriental floral scent, the base essentially made from Cold Pressed Coconut Oil saponified. It is handmade with no synthetic fragrance or color added to it. 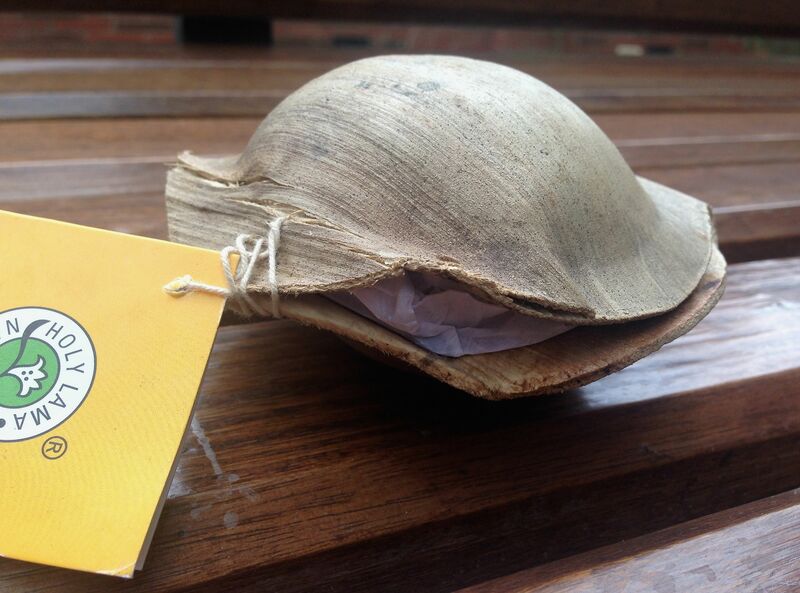 Packaging The outer packaging is an attractive, eco-friendly clam-shell inspired cover , held together by a piece of string, which also holds the label in place. Easy to open and oh-so-darn-cute! :). 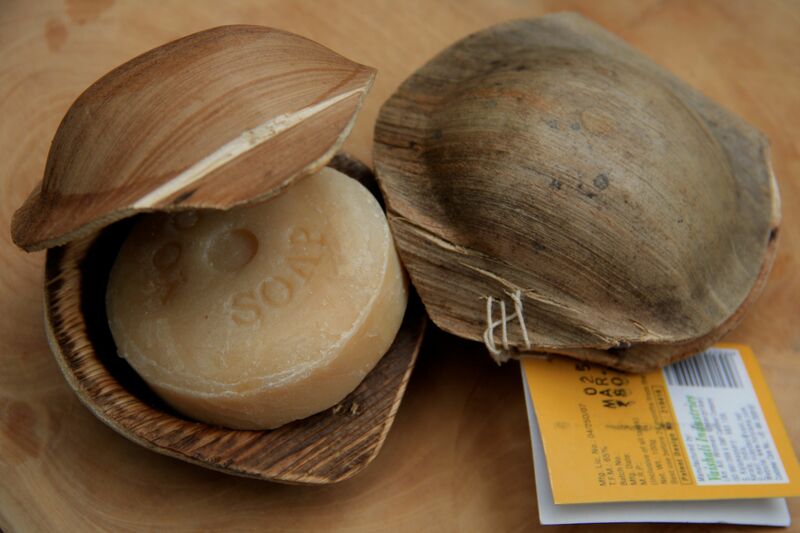 I loved the sturdy outer packaging which I realized can also double as a soap dish ! ( great for travel, eh!). Inside, the soap bar is wrapped in paper held together by the brand sticker. 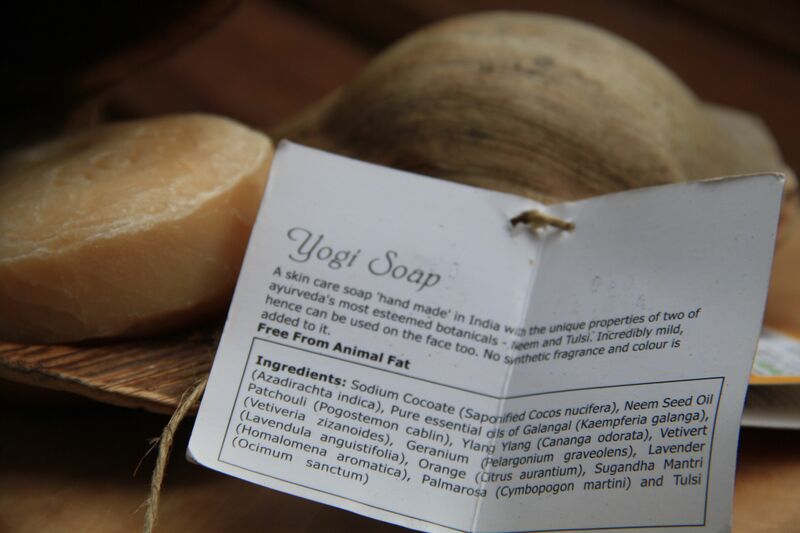 Ingredients The ingredient list is completely natural & the soaps are free from synthetic fragrance or color. The ‘Yogi’ variant lists the ingredients as – Sodium Cocoate,Neem Seed Oil, Pure Essential Oils of Galangal,Patchouli,Ylang Ylang,Vetivert,Geranium,Lavender,Orange,Sugandha Mantri,Palmarosa and Tulsi. Ah, bliss! Product in Use Being handcrafted, it doesn’t have the smooth looks of a machine produced soap but a rather rustic, organic feel to it. With no synthetic fragrance added, the soap smells natural, is soapy enough to work up a light lather ( indicates more of natural inputs in making the product) and is a convenient size to hold & use. I am really enjoying using it currently! The Holy Lama Naturals Handmade Ayurvedic Soaps are available online at Desi Origins and at their store at B-150, Super Mart I, DLF- IV , Gurgaon. Let me know if you try one of these babies & stay Naturally Lush! I picked up some from Desi Origins after reading thru your blog. I must confess they have a brilliant options across Organic / natural products. Does it lather well? How long does it last and does it melt easily?